David Gregory is a veteran of independent film licensing and home video sales The founder of Severin Films (now celebrating its 10th anniversary), David was also a principal at Blue Undergound, where he directed numerous special feature documentaries and helped establish the gold standard of DVD extras. His most recent theatrical film, Lost Souls, has been hailed as one of the best films about a film ever made. 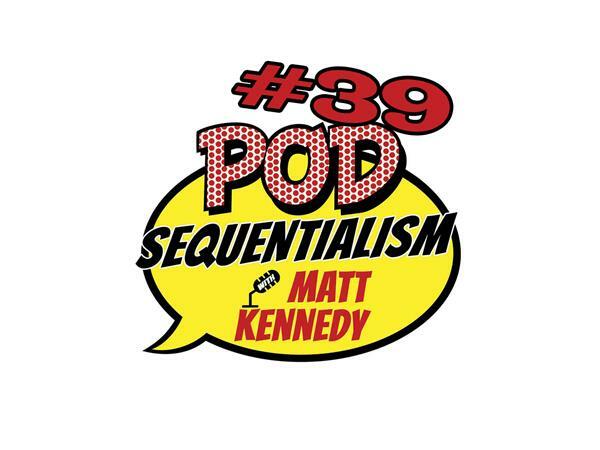 On this informative episode of Pod Sequentialism with Matt Kennedy you'll learn how a film fanatic from Nottingham, England turned his life-long obsession with genre movies into an award-winning career in Hollywood–and you'll also learn how to follow in his footsteps. So sit back and enjoy Matt and Dave's Independent Film Licensing master class. All right here on Pod Sequentialism with Matt Kennedy presented by Meltdown Comics!